We knew the 10th-anniversary edition of Apple’s influential iPhone was going to be something special. The iPhone X sports a big, beautiful, edge-to-edge bezel-less screen, packs some serious power under the hood, and boasts a dual-lens camera. We lauded the phone’s gorgeous design in our iPhone X review, but the glass panels located on the front and back of the make it fragile. 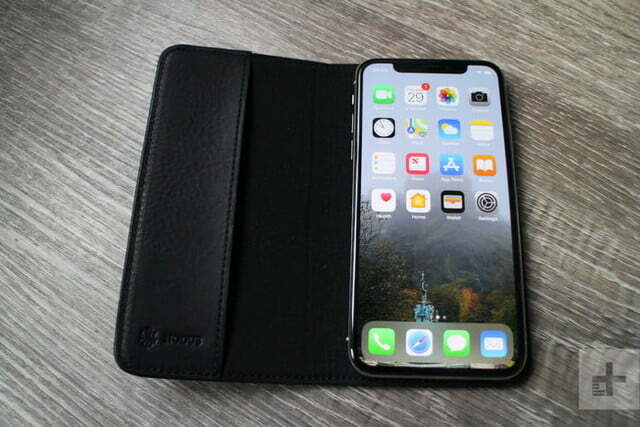 Below are the best iPhone X cases and covers available, whether you want stylish protection or something more durable. 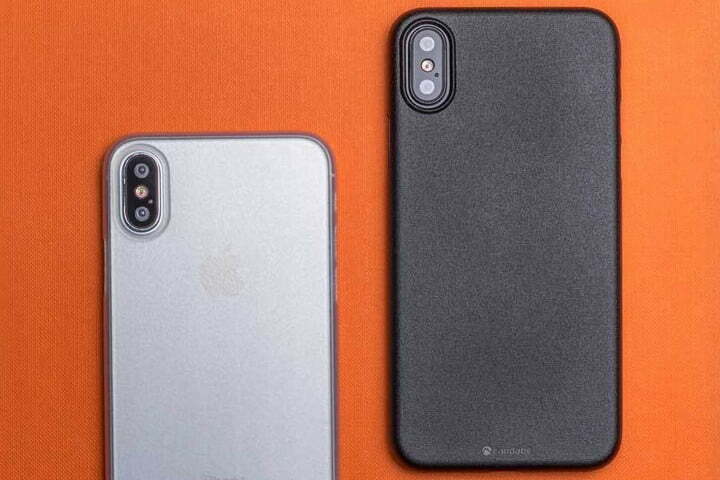 After trying on a number of different iPhone X cases and taking them for a spin, we have identified these three cases are our top picks. 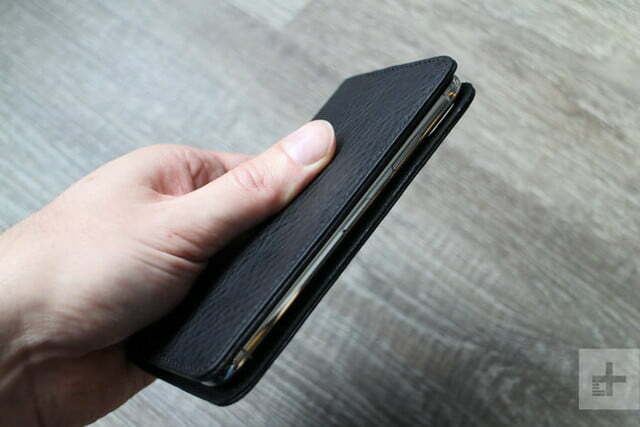 This classy wallet case is made from Italian leather and comes in brown, black, gray, and teal. The neatly stitched, textured leather exterior is stylish and practical. Inside, things are a little different from the majority of wallet cases, because there’s no plastic shell. 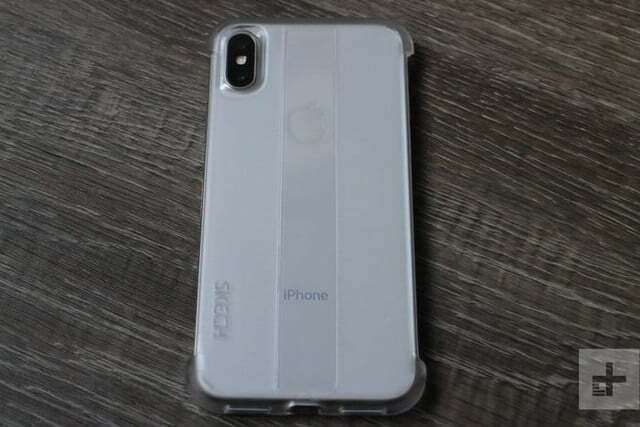 Your iPhone X is held in place by a micro suction pad of adhesive that won’t mark your device. 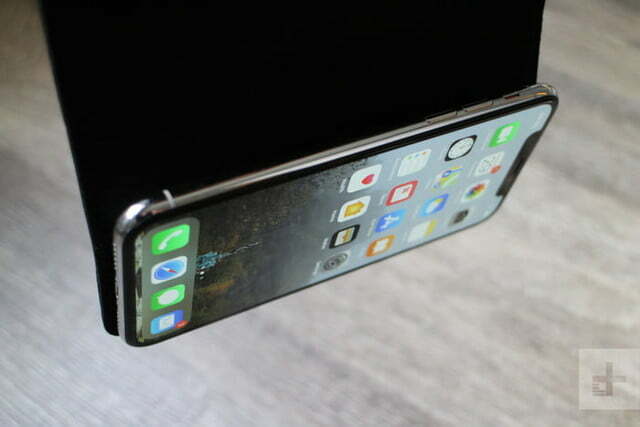 It’s strong enough to hold your iPhone X in place, even if you dangle it as we did in the last picture above, but you can remove your phone easily when you need to. There’s a single, large pocket for cards or cash in the cover and you can fold it back to act as a landscape stand. The interior has a soft, microfiber finish and, because there’s no shell, you have easy access to ports, controls, and other features. There’s also a cutout on the back for the dual camera. 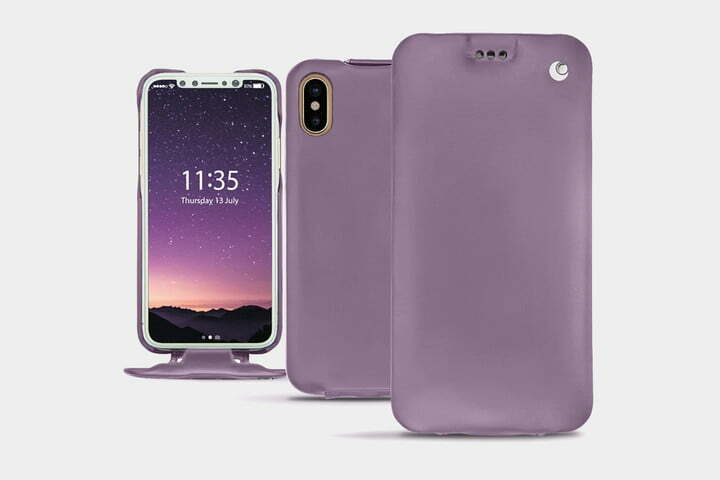 It can be frustrating having to cover up your gorgeous iPhone X to protect it properly, and that’s why Skech has developed the Stark case. This is a minimalist case that focuses protection on the corners and the top and bottom edges of your phone. 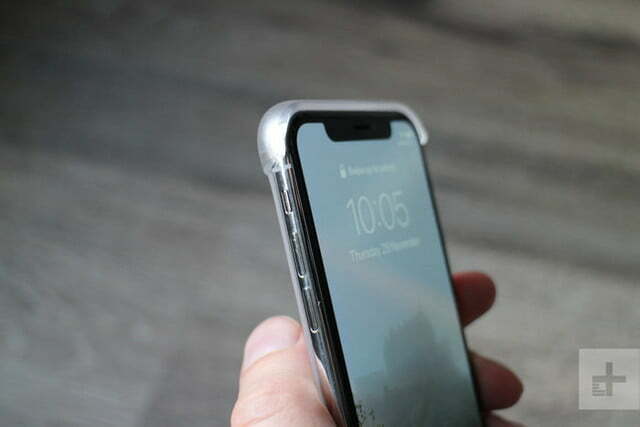 The sides are left completely open and it comes in clear or black and clear varieties, both of which allow Apple’s design to shine through. There are generous cutouts for the port, speaker, and camera, while those top and bottom edges protrude slightly to safeguard that stunning OLED screen. It adds barely any bulk and won’t interfere with wireless charging. Best of all, this svelte offering has been drop-tested up to 8 feet. It’s a very tight fit, but we think the protection offered here, in such a minimal package, is impressive. Seeking something different? 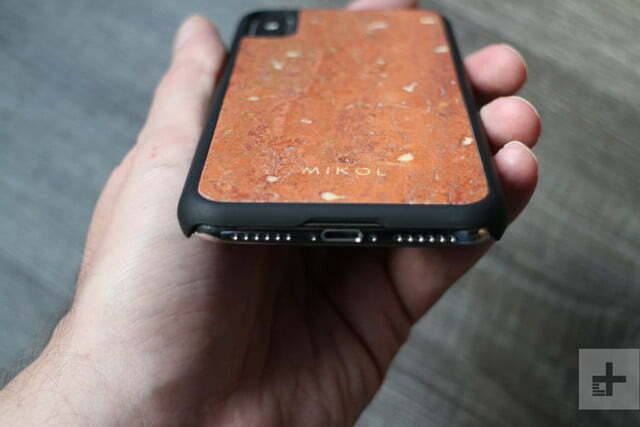 Mikol offers a stunning range of marble, amethyst, and other stone cases. This travertine case is very expensive, but it boasts Italian limestone that gets its special look from mineral springs — it also glows in the dark. The case itself features black plastic with accurate cutouts for easy access to everything. The hand-cut and sanded stone is unique, and you can get your initials or name engraved in gold on the back for an extra $25. This case is really all about style, and it’s sure to turn heads wherever you go. We don’t think it will provide much in the way of drop protection — in fact, the stone may be at risk of damage if you fumble it. 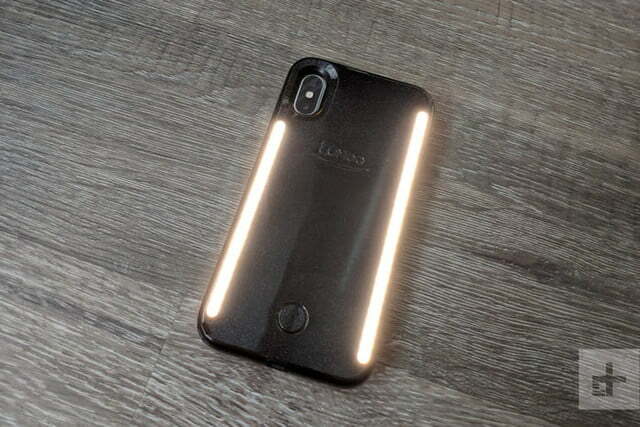 If you like to capture photos in dark environments, whether you’re partying in a bar with friends, or tearing up the dance floor in a club, Lumee’s light-up cases could be just what you need. Even during the day, extra lighting can help you get better photos. 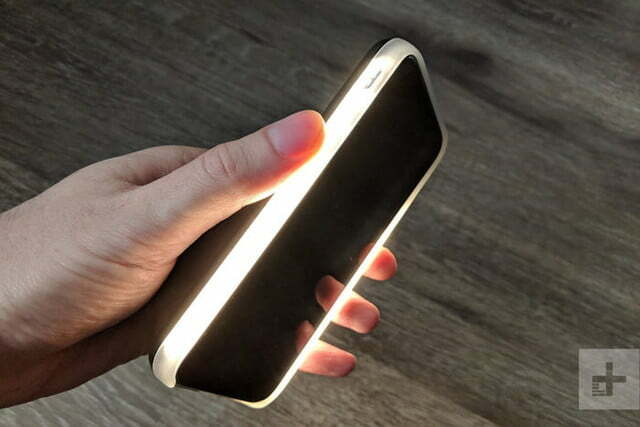 There are LED strips front and back on this case that go way beyond your iPhone flash to light up any scene. Press the button on the back to cycle through your lighting options, which include a fun strobe effect. The case is charged via a Micro USB port and it will last up to two hours at full brightness, but there are different settings. 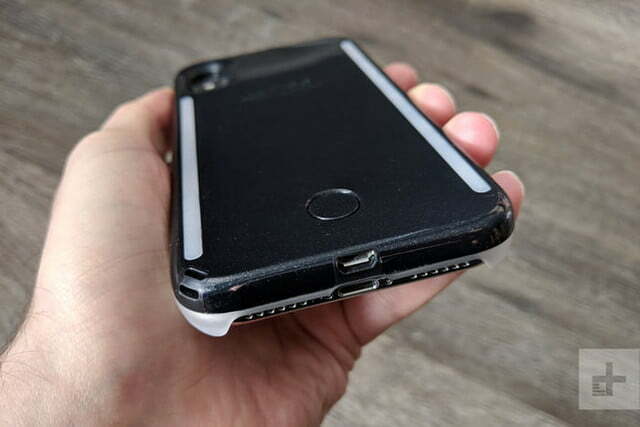 This case should also keep your iPhone safe from drop damage, but it is quite chunky and expensive. 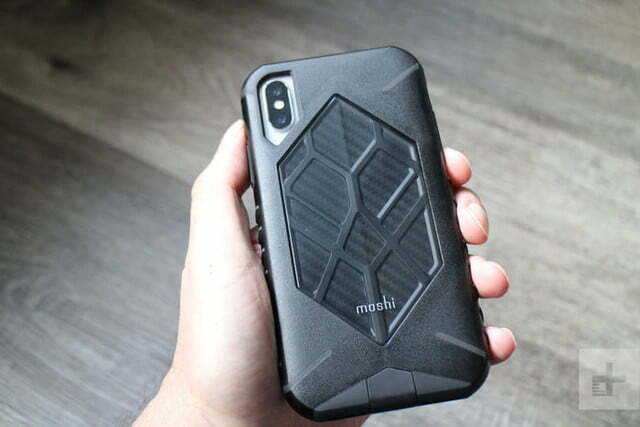 This protective iPhone X case is a change of pace for Moshi. It offers military-grade drop protection, so falls shouldn’t be a problem. There are ridges along both sides, which really enhance grip, and the lip around the screen is pronounced. There are precise cutouts, a cover for the Lightning port, and flush button covers. We really like the angular style with the carbon fiber pattern on the back. It adds a bit of bulk, but wireless charging still works with the case on. If you tend to be clumsy with your phone, this is a good choice for solid protection. It comes in black or gray. 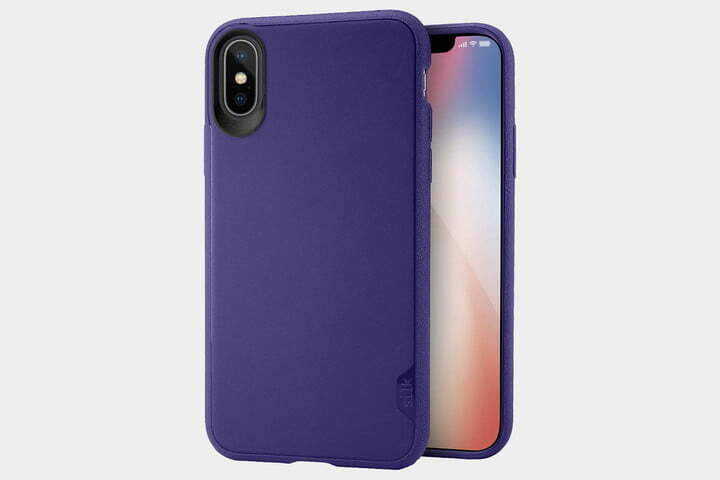 Fabric is a nice alternative to plastic that’s always comfortable to hold and really enhances your grip on your iPhone X. Incipio does a slim version that’s like this case, but the Carnaby has a protective layer of shock absorbent TPE inside that protects from drops of up to 6 feet. You’ll also find chunky button covers and a raised bezel around the screen. 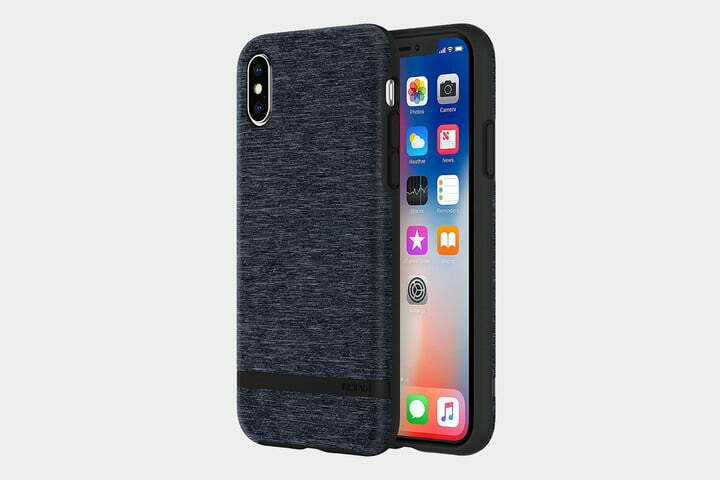 The fabric comes in the blue pictured or a couple of different shades of gray and there’s a subtle metallic black bar with the Incipio logo to break up the pattern. It’s certainly on the chunky side, but we love the Presidio Grip. 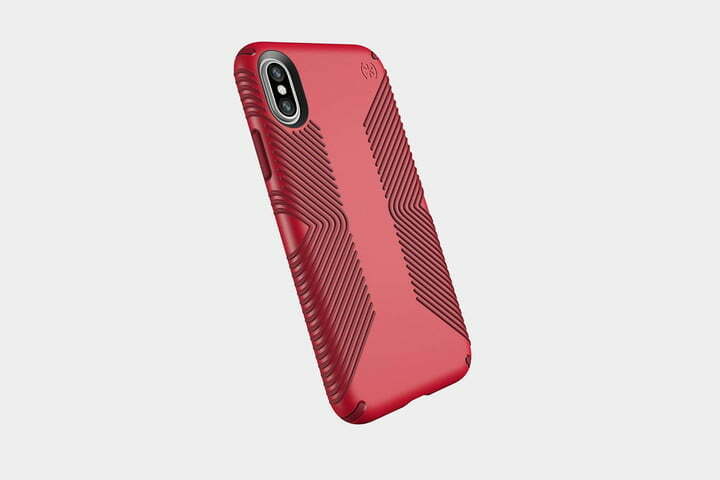 A fusion of polycarbonate and Speck’s proprietary flexible rubber blend, known as Impactium, this case protects your iPhone X from falls of up to 10 feet. The ridges don’t just dissipate shock and provide an eye-catching design, they also make it much easier to grip your phone. Pronounced button covers, accurate openings, and a raised lip around the screen complete one of the best protective iPhone cases you can buy. 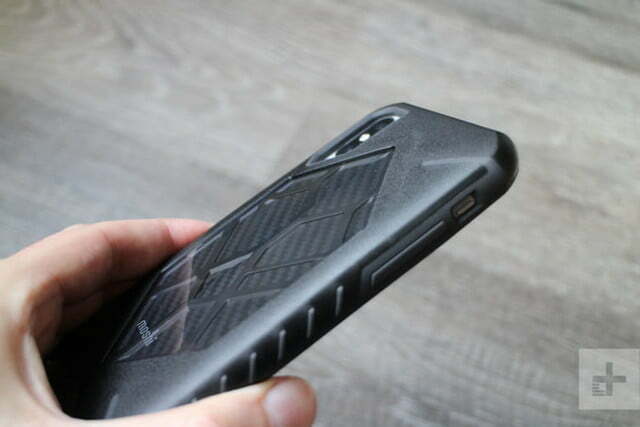 This is a thin, flexible, and affordable TPU case that boasts a smart design. 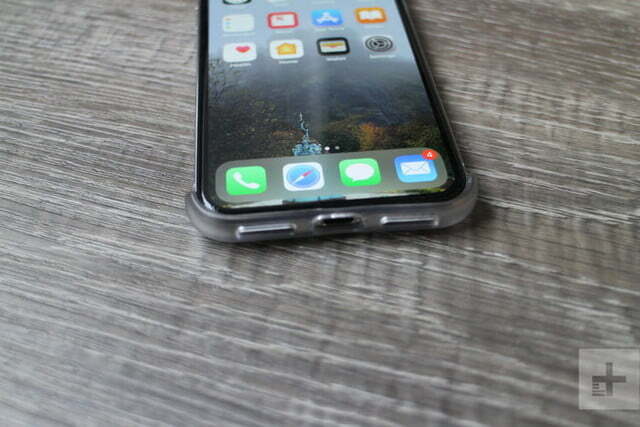 The frame of the case is roughly textured, making it stick in your hand while reducing the risk that you’ll drop your iPhone X. There’s also air cushion protection in the corners, a raised lip around the screen, and tactile button covers. It’s very slim so it doesn’t interfere with wireless charging, though we’re not sure how much drop protection you can expect. It’s also not the best-looking case, even with gloss highlights and a choice of colors, but if grip is high on your list, you won’t find anything better. 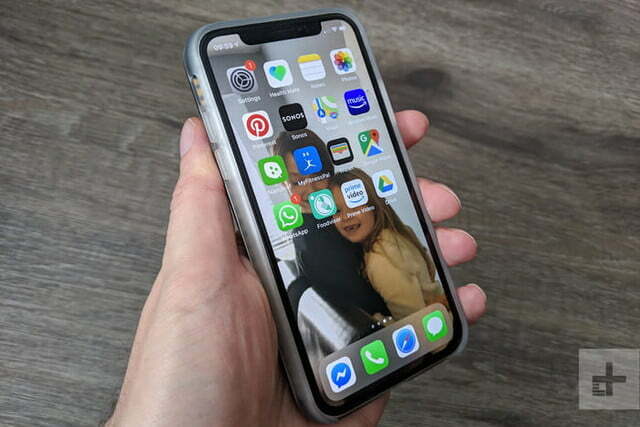 Originally taking the market by storm with its highly protective CrashGuard bumper, RhinoShield has moved on to full cases, and the SolidSuit range will tempt iPhone X owners. All of these cases offer the same impressive drop protection from up to 11 feet. There’s a protective lip for the screen, tactile button covers, and precise cutouts. 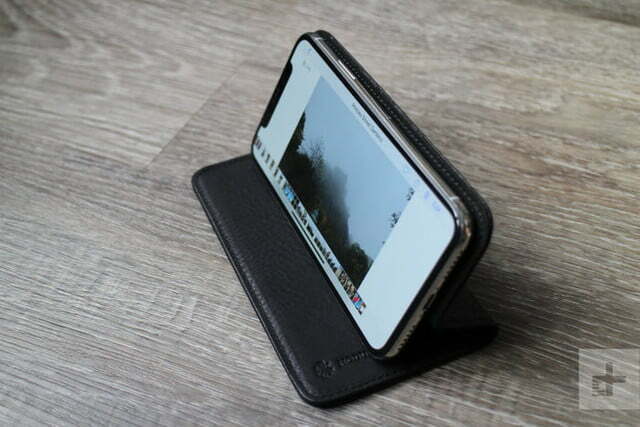 The cases are also compatible with RhinoShield’s tempered-glass screen protector and the nifty lens adapters for things like wide-angle and macro photography. 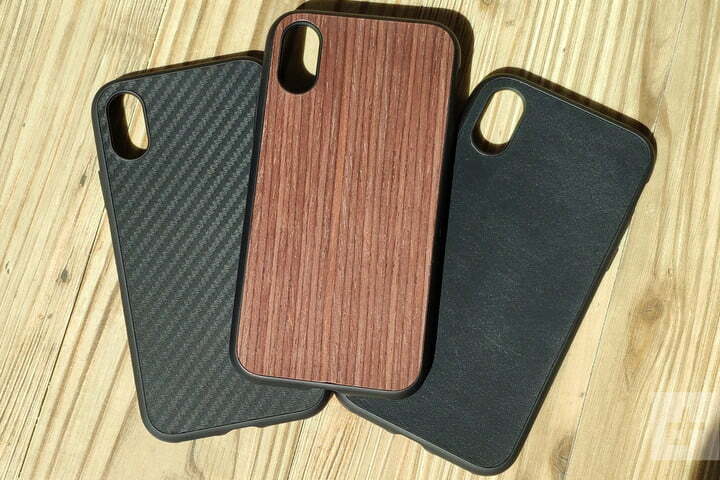 You can opt for various finishes, including plain black or white plastic, carbon fiber, and a range of wood finishes — our favorite is dark walnut with a black bumper. RhinoShield also has leather, microfiber, and brushed steel cases in the works. 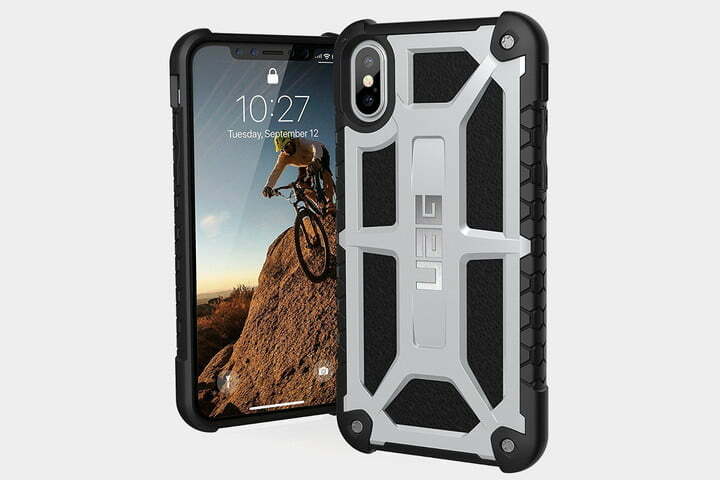 With five layers of protection, the Monarch case from UAG is every bit as tough as it looks. We like the platinum finish, which is actually polycarbonate over leather with a textured area that really enhances your grip. 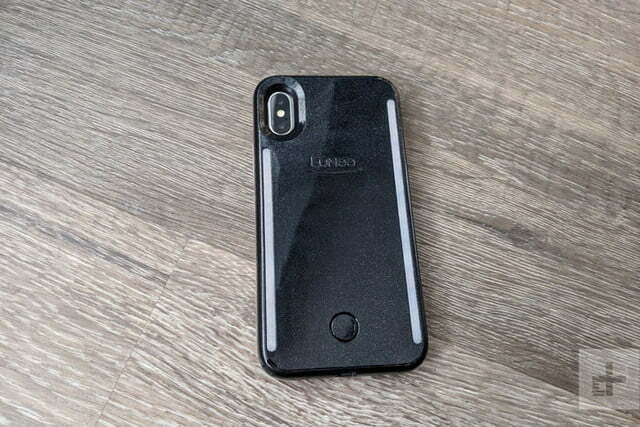 If your prized possession does slip from your hands, have no fear — this case will safeguard your iPhone X from falls and bumps. Despite the chunky look, it’s actually quite slim and very lightweight. It also doesn’t interfere with wireless charging or Apple Pay. 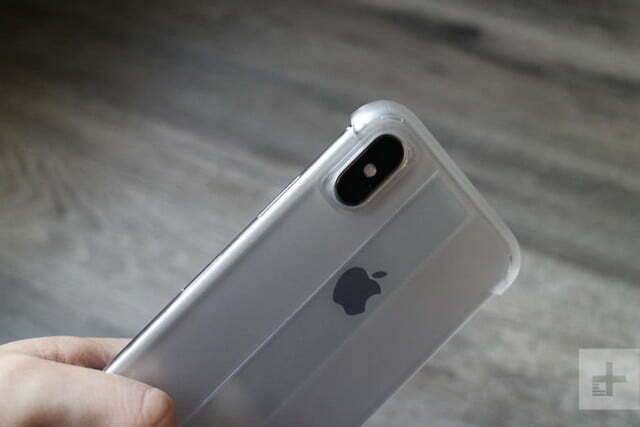 At just 0.35mm thick, this is among the thinnest iPhone X cases around. If you don’t want to cramp Apple’s style, then this could be for you. Don’t expect much in the way of drop protection, but the textured finish will enhance your grip. There’s a raised lip around the camera lens, but there’s no bezel around the screen. 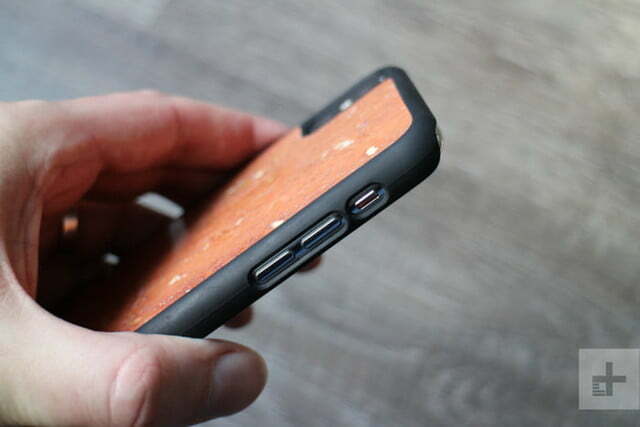 The button covers and openings are precise, and this case feels like a second skin. The frost version is translucent, or you can opt for bright blue, red, or black. 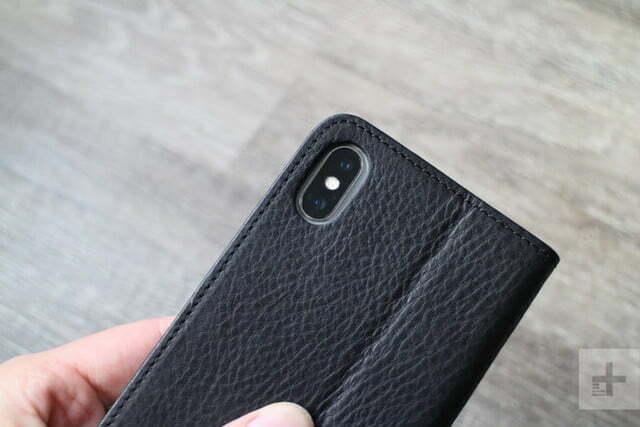 Stylish padded leather from France is a nice way to dress your iPhone X, providing an elegant look and ensuring protection against damage. 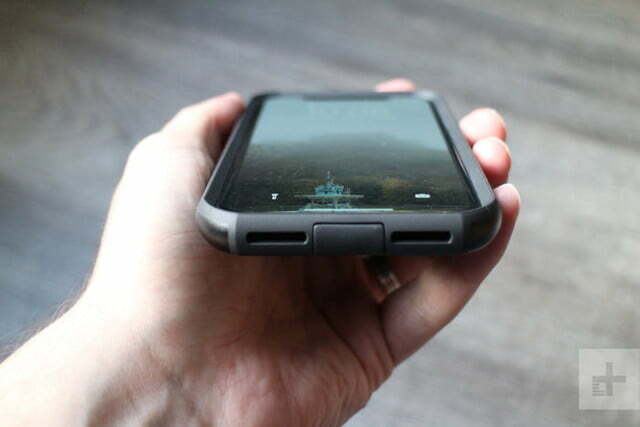 This case flips open with a hinge at the bottom and a secure snap closure at the top. 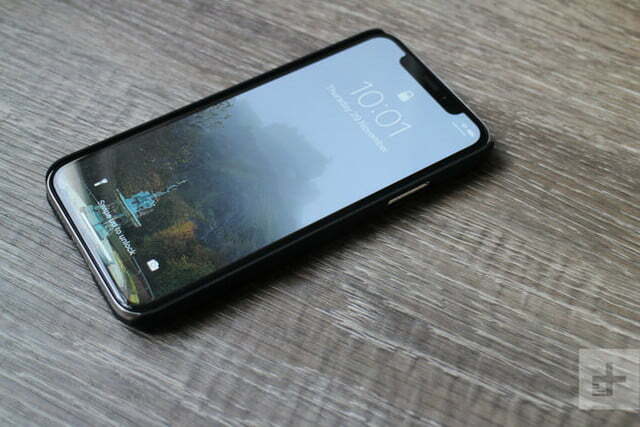 The iPhone X is held snug and secure and you’ll find cutouts for the buttons, camera, and port. 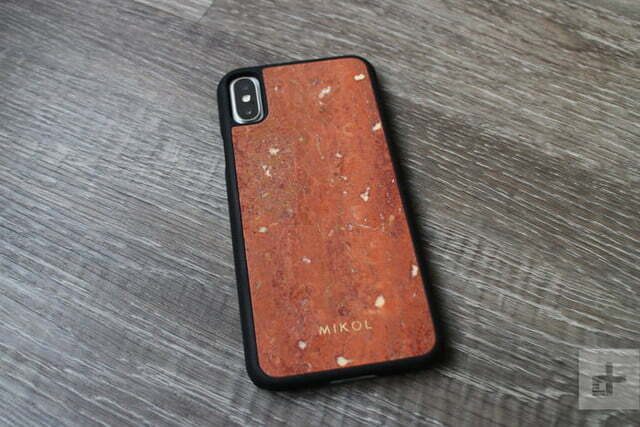 You can choose the precise leather grain and color you want to achieve your ideal leather iPhone X case. 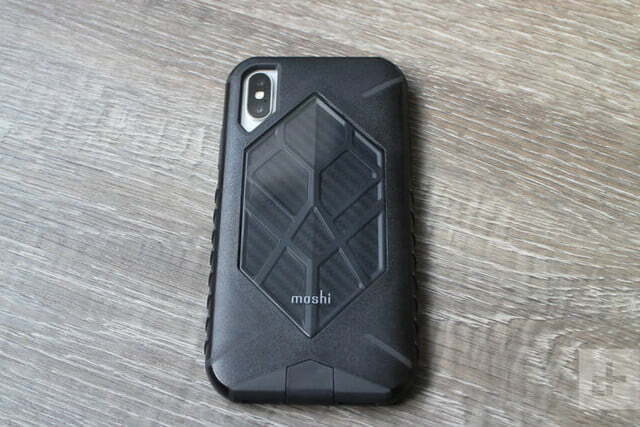 When you shop for rugged iPhone cases it can be difficult to find solid protection that doesn’t compromise on style. 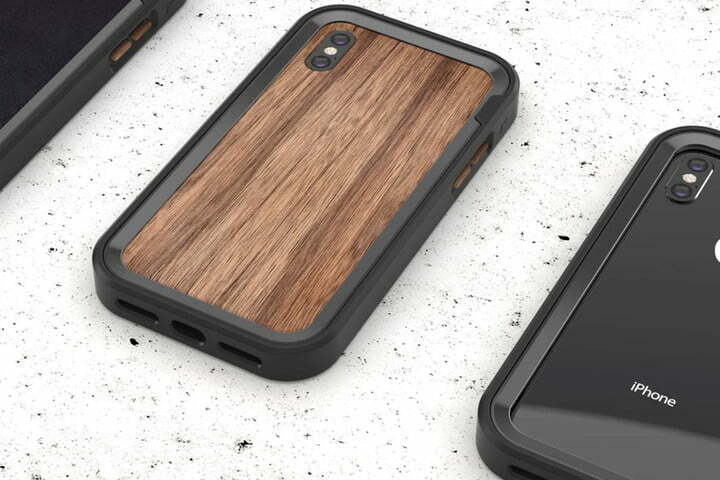 An industrial, durable aesthetic isn’t going to work for everyone, and that’s why Portland, Oregon-based Grovemade has developed a new line of iPhone X cases that blend drop protection with stylish, natural materials. These tough frames combine anodized aluminum with a shock-absorbing elastomer band and come with a choice of wood or leather back panels. Our top pick combines black aluminum with American Walnut. It has a discounted pre-order price of $100, but you can also snag the bumper for $80 or the black leather version for $110.